Police are searching for a man they say threw urine at female transit workers in two separate attacks. The New York Police Department says the two assaults took place on Friday in the Bronx about an hour apart. The first incident was inside the Brook Avenue "6" subway station, and the 43-year-old victim was a conductor. She was doused with urine from a container, and the suspect fled. Police say another 43-year-old woman driving a bus was hit with urine by the suspect a short time later. Both women were treated and released at local hospitals. "It literally went all in my face my hair, it dripped all down the left side of my body, it went inside my shirt," the bus driver, Trelles Robinson, said. 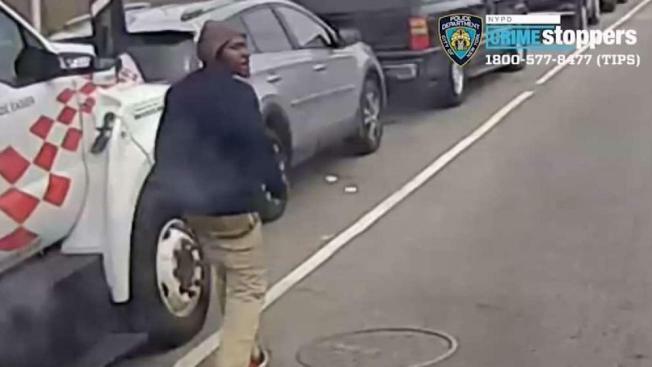 "All around my neck,"
She was driving a BX2 route just before noon on Friday and was stopped at 138th Street and Grand Concourse when the man on the sidewalk threw a liquid in her face, police said. "I made the right turn to load up my passengers, as they loaded I close the door and I as I proceeded to turn my head to look in the mirror to pull out of the bus stop he was at my window," Robinson said. Oneshia Portlette-Shade, of the TWU Local 100, said other bus drivers have been spit on, had bleach thrown on them, and a pregnant bus driver was stabbed. "These senseless attacks are disgusting and disgraceful," NYC Transit President Andy Byford said. "I’ve asked NYPD to step up patrols in response to the subway incident in addition to our prior request to increase police presence on buses, and we will do whatever we can to help NYPD identify the perpetrator or perpetrators including sharing any video surveillance that may exist."